There is perhaps no better gift in the world than the Gift of Shirts on Tap. 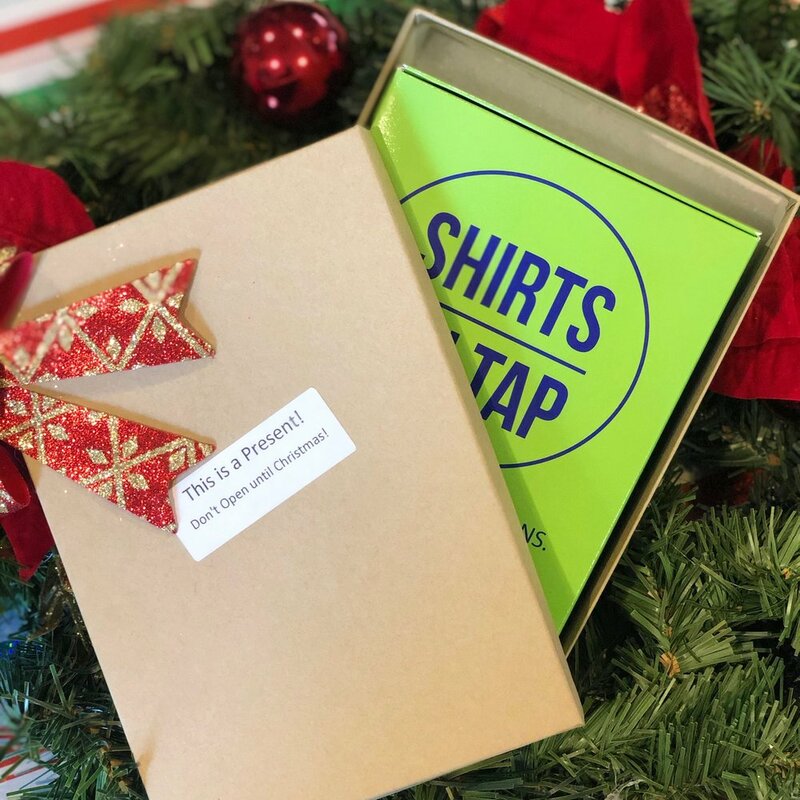 This is literally the gift that keeps on giving… month after month, your gift recipient will an awesome brewery shirt of their choosing until the gift expires! Don’t worry- these memberships do NOT auto-renew, so once the gift runs out, you will not be charged again! Option 1 - Start with Boxes! You can choose a month-to-month gift OR a 3, 6, 9, or 12 month gift package! You will be able to write a note to include in the first Box! These will ship in DISCRETE Boxes and will arrive before Christmas if ordered before December 17th! You know the size/style preferences of your gift recipient. You want to start with the December Box! Option 2 - Send a Gift Card! Everyone loves a good gift card- especially one that is for beer shirts. The membership wont start until they activate the account online! These will arrive before Christmas if ordered before December 19th! Need a gift QUICK! These will ship NEXT DAY to you or the recipient!